Obituary for Donald M. Drasher | Harman Funeral Homes & Crematory Inc.
Donald M. Drasher, 78, of Drums, passed away peacefully Wednesday evening, January 30, 2019, at Geisinger South Residential Hospice Inpatient Unit, Wilkes Barre. Born in Hazleton, PA, June 25, 1940, he was the son of the late Milton and Virginia (Robertson) Drasher and spent the past 5 years in Drums, Pennsylvania, after moving from Conyngham. Donald started his career as a police officer with the Carlisle Pennsylvania Police Department before entering the private security sector where he worked until his retirement in 2000. He served with the Pennsylvania National Guard for over 35 years and was called up to active duty during the Berlin Crisis in 1961-1962. He served as a coordinator for the Wreaths Across America Program and was a member of St. James Episcopal Church, Drifton. 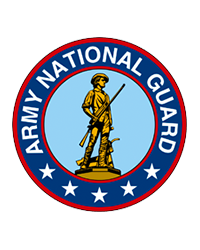 He was also a member of the EANGUS (Enlisted Association National Guard of the United States), the Army Engineer Association, the Association of the United States Army, ESGR (Employer Support of the Guard and Reserve), and the American Legion. He also enjoyed bowling and golf. Surviving are his wife, the former Marian Hickey to whom he was married on August 12, 1978, in Huntington, NY; two daughters Donna Finetti and her husband Thomas, Livingston, NJ; Laura Cowin, her husband Jayson, and their daughter Ava, Weatherly; and a brother Milton Drasher, Drums. His funeral will be held Tuesday at noon from Harman Funeral Homes & Crematory Inc. (East) 669 W. Butler Drive, Drums. Interment with military honors will follow at 3pm in Indiantown Gap National Cemetery, Annville. Friends may call at the funeral home Monday evening 6-8pm. Memorial donations may be made to The National Kidney Foundation. Online condolences can be entered and more information is available at www.harmanfuneral.com.